Think of the USA’s great soul music cities and Bloomington, Indiana may not spring straight to mind. Yet this thriving Midwestern college town has a rich history with the music. It saw America’s first collegiate pop ensemble, the Indiana University Soul Revue, founded back in 1971 – and now claims birthplace to Durand Jones & The Indications. 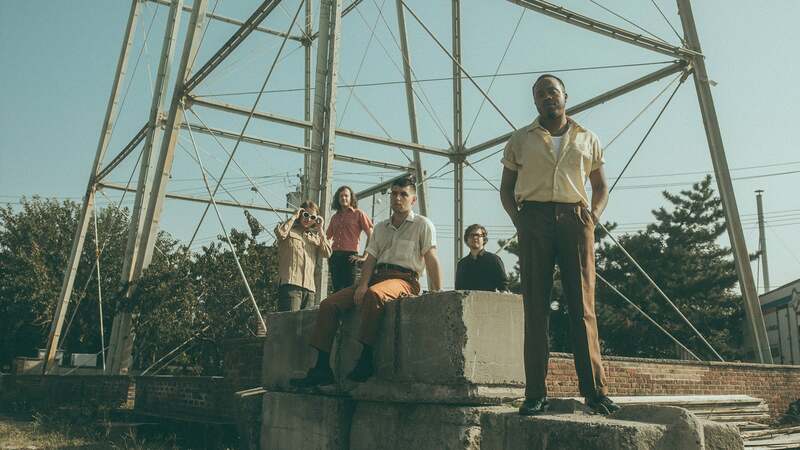 A young quintet carrying the torch left behind by the likes of Charles Bradley and Sharon Jones, combine their love for the soul genre with a DIY punk ethos and an emphatically persuasive live show, all of which is evident on the act’s eponymous debut album, Durand Jones & The Indication, released early 2018 by Dead Oceans/Colemine. The Indications’ story starts earlier this decade with, ironically, a “loud rock 'n' roll band,” Charlie Patton’s War, formed by four under-grads attending IU’s Jacobs School of Music. Guitarist Blake Rhein (from Michigan) and drummer Aaron Frazer (from Maryland) soon bonded over their additional love of hip-hop, and a quest for the source of the genre’s more intriguing samples found them digging out obscure soul records. Understandably, when offered a chance to work sound for IU’s famed Soul Revue, Rhein seized it. Enter, stage left, Durand Jones. A native of rural Hillaryville, Louisiana, Jones was a self-composed childhood “introvert” brought out of his shell when his grandmother gifted him an alto saxophone, which he played all the way through a BA in general music education from South Eastern Louisiana University, and on up to post-grad study at Jacobs. Once in Bloomington, he joined and toured with the all-sax Kinari Quartet, performing complex chamber music, and winning international awards in the process. “I always felt I was going to be a classical musician,” he says of his ambitions. Fate, however, had other ideas. First, Jones was recruited to write and arrange horn parts for the IU Soul Revue. Then, when the act fell short of singers, he was asked to step up to the mic. Doing so unleashed the other side of Jones’ musical upbringing – that which had sung gospel in church, watched his dad dance around the house to Earth, Wind & Fire, and worked the classic soul repertoire in Louisiana bands. Turned out Jones had the voice, the presentation, the whole package. Fronting the Revue also brought him into contact with Rhein, and subsequently to a basement space known as “The Hideaway” where, joined by Frazer, they spent Sunday evenings preparing for college classes by deconstructing deep soul cuts.